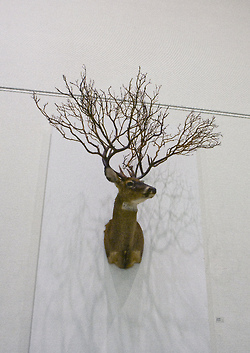 I’m sure most people have seen some crazy deer antler art and taxidermy, but this one is pretty far out. 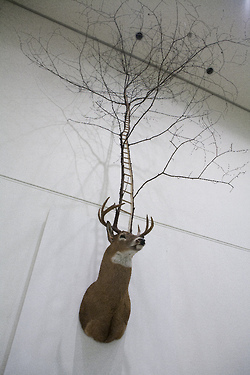 The artist took a buck mount and removed that antlers in favor of some tree limbs, or sticks, whatever you want to call them. 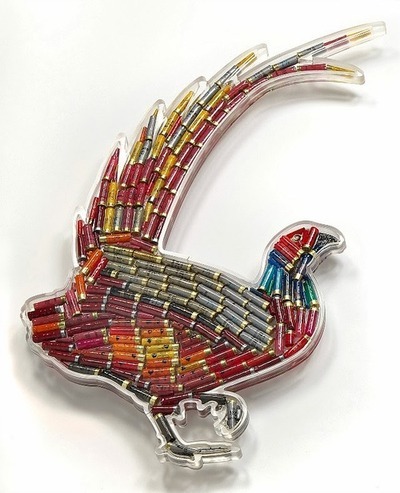 While I don’t see too many hard-core white-tail hunters wanting one of these for their living rooms, their wives might. Check out some of the buck tree antler art as we like to call it, then grab a shot of whiskey and remember why you’re a man and don’t work in a gallery.